Drain Hose – If the washer is leaking during the spin cycle, you probably have a problem with your drain hose. Check the connections to make sure it is secure, ensure it is in good condition and free of damage, and then check for clogs. If there are any cracks or leaking around the hose where it attaches to the dryer, you will either need to purchase a new one or cut the end off and re-clamp it. Fill Hose – The next thing you should do is make sure that the fill hoses are in good condition and are still securely in place, but not over-tightened. The rubber washer used to attach the hose could also be the culprit, so you should ensure a new washer is used every time the fill hose is removed. Water-Inlet Valve – Rust or mineral deposits can build up on the water-inlet valve, causing it to leak. Check to make sure the valve is in good condition, or if it is damaged and needs to be replaced. Door Seal – If the washer is a front-loading machine, you may have an issue with the seal around the door. Buildup can collect in the door seal, preventing it from shutting completely. Carefully clean the seal and see if that corrects the problem. 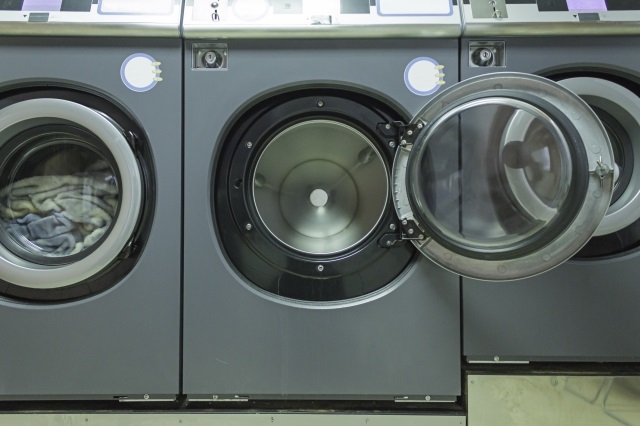 When you need laundry machines for your business, trust Commercial Laundries of West Florida. Contact us today at 1-800-876-1477.